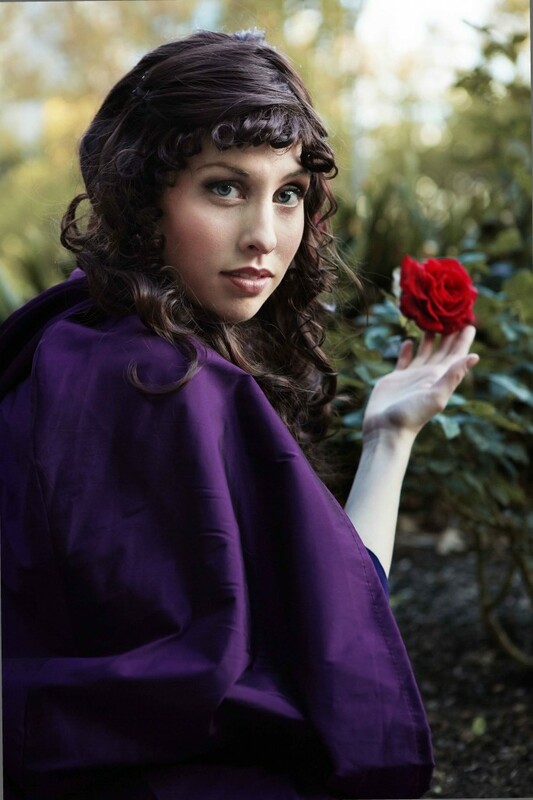 BRIGHTON’S own Kate Amos is playing a central character in Windmill Theatre Company’s Phantom of the Opera at the Drum Theatre in Dandenong. The theatre company is one of the first companies in the world to be given the rights to perform this musical theatre classic outside of a professional setting. Kate, who lives in Brighton stars as Christine, the central character who is the focus of the affection of both Phantom and the dashing Raoul. AS we approach the beginning of the new financial year, Brighton has some exciting capital works planned that will continue to provide improved public facilities for our community. As residents will be aware, we are well advanced with the development of the new Brighton Medical Centre. Having already worked extremely hard to attract and re-establish the local GP service, Council is currently negotiating with a range of providers so that a full range of medical and ancillary services can be available through the new centre. The GPs will move to the centre from the current facility next to the Brighton Pharmacy and work is about to commence on the car park and landscaping, which will be undertaken by Council staff to keep overheads at a minimum. Equipment for the centre has also been purchased and I expect to announce more details in the coming weeks. With the continued growth of our region, the establishment of a full service medical centre at Brighton has been a major objective of Council for many years and I know that it will be welcomed and supported by our community. Important work is also being undertaken in the area between Butler Street and the gates of the former Brighton Army Camp. This involves the replacement of the existing open drain with storm-water pipes and the construction of a footpath. This will improve the link between the planned future subdivision to be developed on the old army camp site and the Brighton township. The works cover a length of some 230 metres and include a 2.5 metre-wide shared use footpath. The project is expected to take three months to complete. At Old Beach, Council has agreed to commence upgrading the rear unit of the recently purchased 84 Jetty road property as new headquarters for the Old Beach Cricket Club. The development has been planned following consultation with the cricket club and will include a clubroom, change rooms, umpires rooms and a kitchen. The Old Beach Cricket Club is a highly valued community organisation and the project will link this part of the 84 Jetty road lot to the Lennox Park Oval precinct, providing improved facilities for local cricketers and other users of the sports ground. These are just a few examples of the projects being planned and undertaken by your Council over the coming months. I look forward to reporting on other important works in future issues of Brighton Community News. 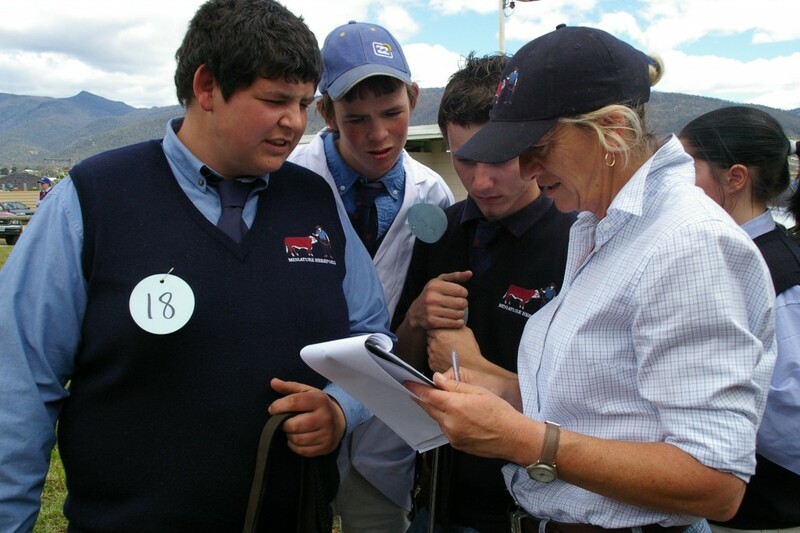 TWENTY years on and Tasmanian agricultural science teacher Jackie Brown says new opportunities in agricultural education keep emerging. Head of the Jordan River Learning Federation (JRLF) school farm, Jackie Brown received an AM in last month’s Queen’s Birthday honours. Agricultural science teacher Jacki Brown with students. The school at Brighton runs farm visits for schools across Southern Tasmania, in addition to hosting it’s own students with show teams exhibiting livestock at many rural shows. Jackie Brown took on the school farm back in 1992, and two decades on, believes that school farms are more important than ever. She says the farm can be a vehicle that can deliver the entire school curriculum from science, maths, economics and business. “I’ve just been at the Primary Industry Education Foundation conference, and [the Minister for Agriculture] Joe Ludwig announced that food and fibre are an essential part of the new Australian national curriculum. So that’s really exciting for someone like me. 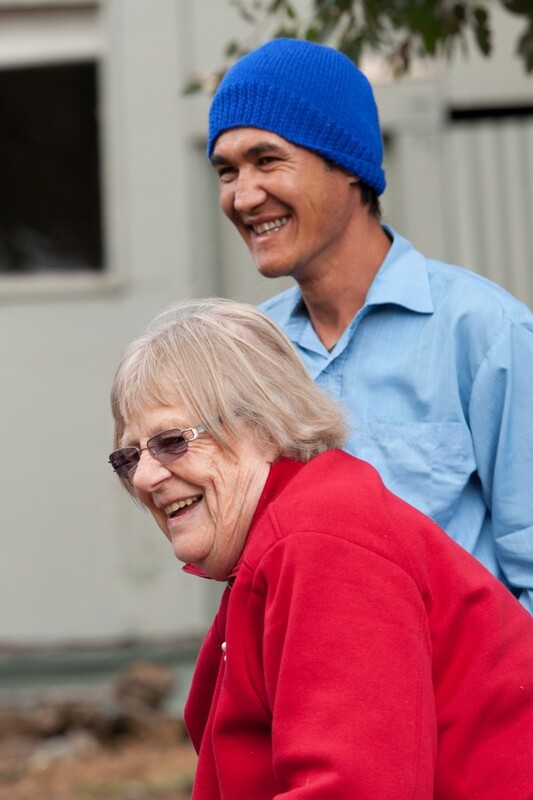 The farm is a whole community based resource which raises awareness of sustainable land use practices, animal husbandry and enterprise from back yard to back paddock. The farm is essentially for disadvantaged youth and operates by using agriculture as a catalyst for educational, social and recreational activities. It’s inclusive of students who have been excluded from mainstream education and provides vocational opportunities, job creation and work skills programs. The farm is not just about teaching students about agriculture and animal husbandry – it is the result of teachers’ vision to help ‘at risk’ and disadvantaged teenagers find something they enjoy and are good it, allowing them to learn about responsibility, team work, communication, and to develop self-esteem and the confidence to follow their dreams – as many have done. The farm’s operations are fully self-funded. Students, community members, Brighton Council, Friends of the Farm and businesses work together to raise funds to maintain this vital community service which provides a rare opportunity for these young people to develop many of the skills required to lead successful and happy lives. A DOCUMENTARY, filmed almost entirely within the Brighton area has been receiving critical acclaim and filling up cinemas. Brighton Council will be offering two free public screenings of the film that will include a ‘question and answer’ session afterwards, at the Brighton Civic Centre on June 19. To attend either of the free screening sessions at 12.15am or 6.30pm on 19 June 2013 please contact Brighton Council on 6268 7000 to book your seat. Bookings are essential as seats are limited. 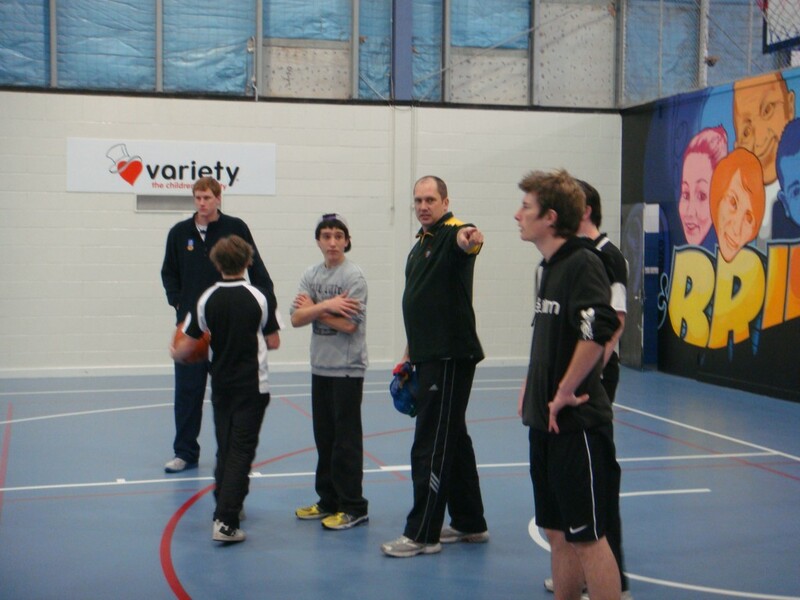 BASKETBALL Australia highly successful and popular No School No Play program is helping the Jordan River Learning Federation engage and retain students. Launched in 2010, No School No Play ran across eight national sporting organisations for two years, with the aim of promoting the value of education through the power of sport. It has now been extended into the new financial year. Jordan River Learning Federation entered the program last year as a means of engaging and retaining students in its educational program. Jordann Gregg (USA import for Hobart Chargers Men’s SEABL team) and Craig Anderson (Basketball Tasmania) work with some of the boys on their skills. LENNOX Park at Old Beach was the place to be at the start of May during the school holidays, as part of a fantastic local holiday program. Good Beginnings, the PCYC, Brighton Council and Mission Beat joined forces to invite the entire community to a day filled with activities for all ages. 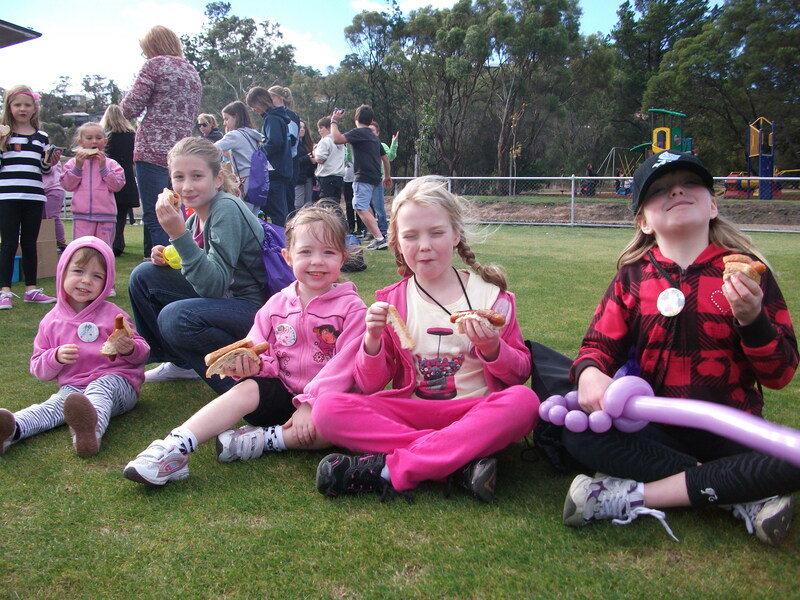 Everyone warmed up with a sausage sizzle after having an animal balloon made by the balloon man. Children were running around with painted faces and kicking footballs and playing games. The fire brigade allowed would-be firemen and women to climb into the driver’s seat and sound the siren. The children were shown how to use the fire hoses and hear stories of all the amazing work that firefighters do. The men In blue showed the children the police car and what it feels like to be driving one. Clarence Football hero Jeremy Webberley called in and passed balls to excited local kids and helped them brush up on their footy skills. The Derwent Soccer Club gave practical demonstrations on the game of soccer and encouraged the kids to learn how to play. The day was funded by Communities for Children. 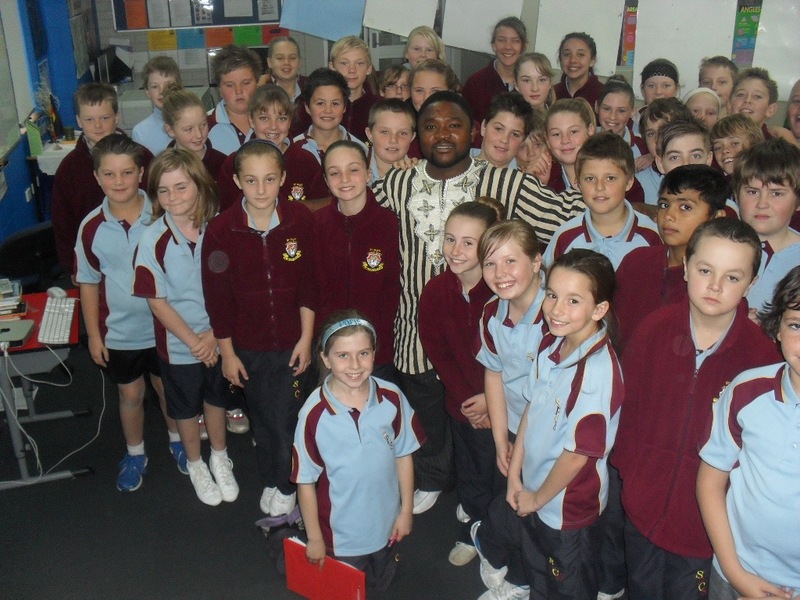 ISAIAH Lahai visited St Paul’s Catholic School in Bridgewater recently, to talk to Grade 5 and 6 students about his experiences as a former refugee from war torn Sierra Leone. He spent 14 years living in extremely tough conditions in a refugee camp in Guinea. Isaiah is a proud Tasmanian who loves his adopted state and new home in Australia. Isaiah Lahai gave grade six students an excellent insight into his difficult time fleeing his home country and coming to live in Tasmania.